Urbanisation is spreading across the face of the planet at an unprecedented rate. Most of it is opportunistic; ad hoc development and shanty towns rather than master plans. Virtually none of it, planned or otherwise, incorporates the elements of natural capital that are needed to create sustainable cities. Every time a new piece of urban fabric is created, or an existing piece is patched up and reworked, it may add to the value of the real estate but subtracts from the ecological health of the urban area. As each conurbation grows it diminishes the biological wealth of its region. Globally, the entire urban system trends towards becoming increasingly dysfunctional. But what if it were different? What if, every time we added to the weave of this great human construct, we constructed pieces of urbanism that not only provided good shelter for people but also increased biodiversity and enhanced the value of natural capital? For some time I have been intrigued by the idea that one might be able to identify patterns in urban systems that could provide a systematic model for developing cities that can always and simultaneously incorporate the essential characteristics of ecologically sustainable urbanism – and that this might be applicable across the spectrum from eco-village to metropolis. 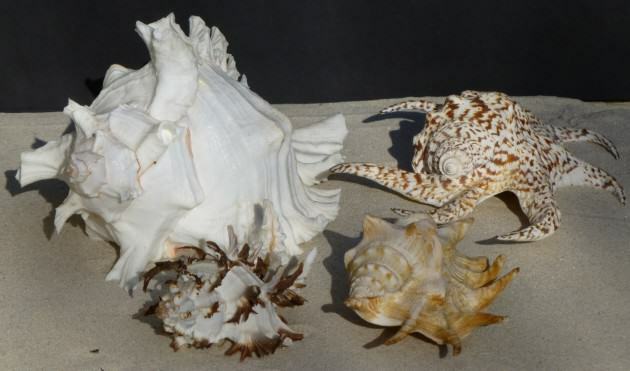 Cultural change can be catalysed by the creation of cultural fractals that display essential characteristics of the preferred cultural condition. An “urban fractal” is a network that contains the essential characteristics of the larger network of the city. Each fractal will possess nodes, or centres, and patterns of connectivity that define its structure and organisation, and it will exhibit characteristics of community associated with living processes. It is a particular type of cultural fractal. Culture is a living system of human relationships that expresses itself in language, arts, tool-making and social organisation, including politics and economics. Characteristic and distinctive elements weave together in a pattern that we recognise as a particular culture. If there is an identifiable smaller pattern that displays the essential characteristics of the larger culture – if it is self-similar to the cultural whole – it can be considered a “cultural fractal”. For a cultural fractal to be meaningful it should contain all the essential characteristics of its culture. Cities weave together the strands of cultural activity and are the most complete expressions of a society. They include, express and are a consequence of relationships between the rural and urban, the domestic and the wild. The most complete fractal representation of a civilisation is urban. The concept of a sustainable city includes the essential characteristics of a sustainable culture – the concept of ecopolis includes the essential characteristics of an “ecological culture” – in its physical and organisational structure, its ethos, and its process of realisation. An urban fractal is a kind of cultural fractal. Fractals catalyse more fractals Credit: Paul Downton. An urban fractal is any part of the urban system that contains sufficient characteristics of that system to represent the essence of that system in microcosm. It is a conceptual tool (what Patrick Geddes might have called a “thinking machine”) that, I believe, has scope and potential as both an analytical device for understanding exactly what is the essence of sustainable cities and societies, and as a synthesising device for creating replicable models of sustainable design. 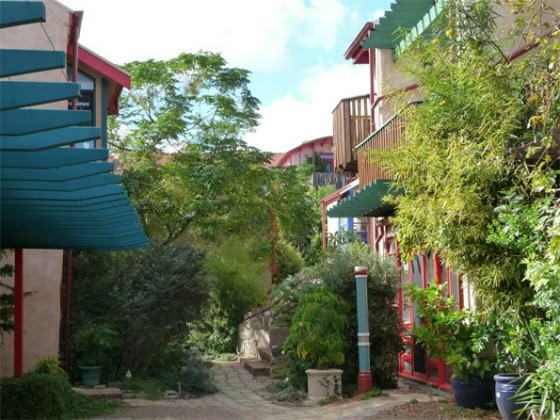 The pioneering ecocity advocate and theorist Richard Register found that the urban fractal idea “describes very well” his own “integral neighborhoods” and “ecological demonstration projects” (Register 2006). His nicely succinct summary of the urban fractal is that it is “a fraction of the whole city with all essential components present and arranged for good interrelationship with one another and with the natural world and its biology and resources for human activity”. Each neighbourhood and precinct scale piece of the city should be what I have called an “urban fractal”, containing the essential characteristics that we want to see in the whole urban system, including nature, ecosystem services, and urban agriculture. The dimensions of an urban fractal are defined in terms of performance, rather than its spatial dimensions. Thus, a required dimension for an urban fractal that supports nature in the city might be a set of Design Guidelines for Non-Human Species that required it to provide support for wildlife indigenous to the place and be able to provide, for example, sufficient viable habitat that it can support at least one key indicator species of fauna and a majority of the species of birds indigenous to the place. Because urban fractals are not physically the size of a whole town or city they are more achievable than whole new cities, particularly in developed countries. It is possible to identify potential (and partial) urban fractals in existing projects and cities, but an ideal urban fractal of a sustainable city or ecopolis would be an integral neighbourhood with human diversity that reflects the city, shops, jobs, education, housing, biodiversity, gardens, renewable energy systems, water capture and conservation, good transit and pedestrian oriented planning all configured in such a way as to nurture and restore the natural processes of the bioregion to which it belongs. One would expect to see creek and watershed protection or restoration and green roofs. Parks, gardens, public spaces and waterways would form life-supporting arteries of green and blue and there would be a mutually enhancing relationship of built form with the needs of both social exchange and ecosystem function. Each one of these in every fractal. 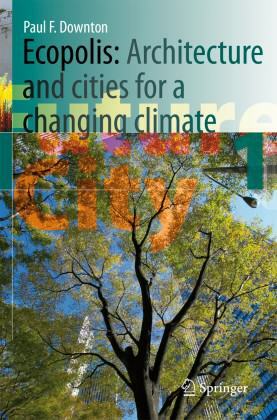 The reader may enjoy speculating on what elements should be in place to ensure that an urban fractal for a sustainable city or ecopolis included essential requirements for the functional relationship and integration between natural and anthropogenic systems. Green roofs to provide both human amenity and other species habitat might be a required dimension for an urban fractal. This one is at Christie Walk in downtown Adelaide, South Australia. Credit: Paul Downton, architecture & photography. Making complete fractals may appear to be relatively difficult to achieve but developments that are physically large enough to contain a functioning neighbourhood are not unusual, for instance, when an entire city block is redeveloped. However, it is rare for even the largest of conventional developments to contain sufficient characteristics and services for it to function as a neighbourhood. 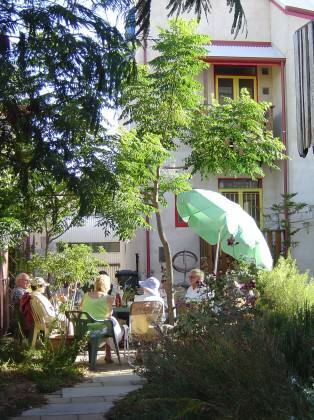 By including those services it would facilitate the activities of a socially functional neighbourhood and by then adding key characteristics that would connect that neighbourhood to natural systems and ecosystem services it can be transformed into a fractal of a sustainable city with the potential to become an ecopolis – that is, a city comprised of ecologically, socially, and architecturally complete fractals. The urban fractal concept fits well with ideas of the “distributed city”, for instance, where power, water and resource management systems are less centralised, with the technologies under more local control, assisting in the reduction of a city’s ecological footprint. The task of creating fractals can be broken down further into bite-size chunks of urban development at the smaller scale of what Ross Chapin calls “pocket neighbourhoods”. These are essentially a few dwellings, typically 6 to 20, that are gathered around a commons. 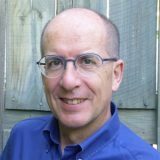 Chapin claims that with this simple concept he is giving name to a pattern innate to human nature, which he sees as having the potential power to shift the thinking of everyone involved in building, from home-dwellers to city officials and architects. Considering that every dwelling in a pocket neighbourhood looks onto the green heart of a central commons of social and green space, it is easy to see how this might be extrapolated to the larger scale of the neighbourhood, and how that neighbourhood might constitute an urban fractal. One can envisage that with each “pocket” within the neighbourhood containing both social and biologically productive or viable space the total socio-biological performance of the fractal would be enhanced. 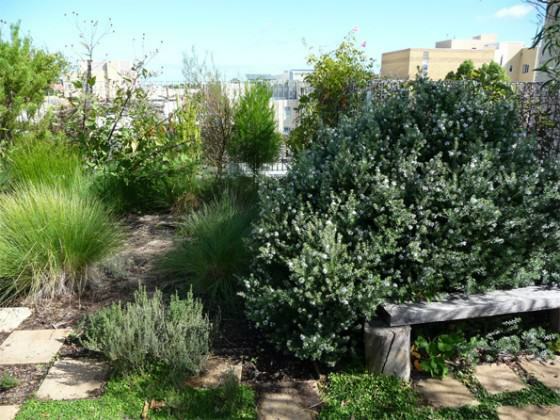 Socially and biologically viable – part of the common space in the Christie Walk pocket neighbourhood, Adelaide. Credit: Paul Downton, architecture & photography. As the various fractals developed, linked and interacted, the synergies of their relationships would form the emergent order of the larger anthropogenic biome of the city. Using this concept of an urban fractal it is possible to imagine the evolution of a city model that can always and simultaneously incorporate the essential requirements for urban nature across the spectrum of urban scale, beginning at the level of the precinct and neighbourhood. In this model, urban fractals would need to exhibit characteristics of healthy ecosystems, such as circular (non-waste) resource flows. Although these characteristics could not all be displayed completely (eg. resource flows might only be circular for some materials, not all) this parallels local ecosystem behaviour in that although all resources are metabolised in ecosystems when viewed globally, the process is only partial when viewed locally. 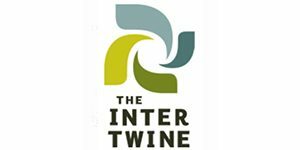 This, in turn, reinforces the need for effective connectivity between ecological neighbourhoods and the crucial role of boundaries and edge conditions. 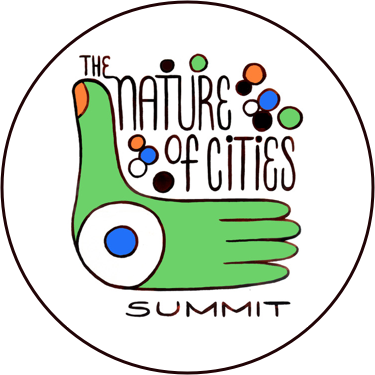 Our cities need to be “greener”, incorporating and being incorporated by nature and ideally, operating within the framework and limitation of pre-industrial ecological systems. They need to greatly reduce (and ultimately help to heal) damage from global warming. We’ve got an impressive tool kit of strategies and devices to green our cities and combat climate change, but they won’t work if we don’t use them well. In the context of the larger urban system, green buildings are simply part of the tool kit, they cannot, by themselves, make a green city. For all their individual merits, the tools in this kit work best when they are applied as a set and attention is paid to their interrelationships. 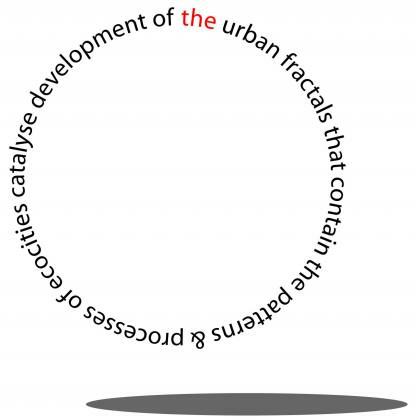 The concept of the urban fractal offers a way to frame a thorough consideration of those interrelationships. Christie Walk is a 27 dwelling, high density ‘pocket neighbourhood’ development on a 2,000sq.m. (half-an-acre) block in the centre of Adelaide that demonstrates how careful design that creates pedestrian pathways rather than bitumen roads can provide corridors of green habitat as well as human amenity even in dense urban development. Credit: Paul Downton, architecture & photography. At the local level of the neighbourhood and precinct it is much easier to gather, process and act upon information. Rather than seeking top-down control what I’m proposing is a kind of biomimicry in which planning and city governance facilitate the emergence of natural patterns and processes within the artificial ecology of urban systems. Working from a decentralist model, this could also be seen as mapping and embedding desired tendencies for development into the DNA of the city. In his TNOC post (3 October 2012) Thomas Elmqvist identified opportunities that lie in greening the urban expansion and cited a checklist of “key messages” including that “Ecosystem services must be integrated in urban policy and planning.” If one imagines every development of neighbourhood scale or larger (of whatever density) being required to support and enhance ecosystem services (eg. 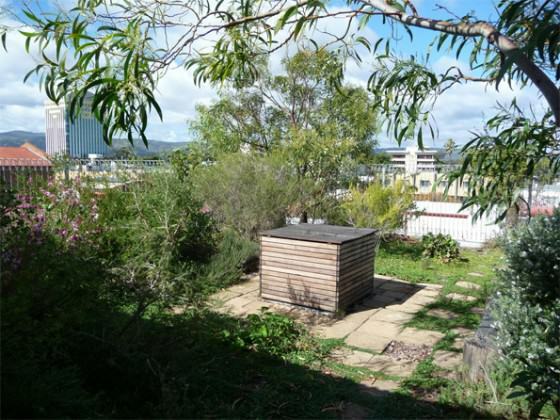 by replacing lost habitat with green roofs) then the progress of a city’s development will continually move towards greater ecosystem health and associated resilience for humans reliant on that system. Overall, what’s needed is an approach that allows for individual initiative, creativity and diversity but ensures that all the individual initiatives are related to each other in ways that are practical and effective. So let a thousand fractal flowers bloom – and include all the bugs that make an ecosystem work. Just as nature grows individual organisms that reflect their circumstances whilst developing according to the same set of rules, so individual pieces of the city can grow and develop to reflect their place and circumstance whilst fitting their defining characteristics as urban fractals. Credit: Paul Downton. Thinking about creating an Ecopolis I found out that there are passionate people that have already planned their own, like you! What about collaborating together to build one in Paphos, Cyprus, where there is a real housing problem for young – and elderly- people, for both, native Cypriots and foreign habitants who love nature and eco-living to change the living standards and protect the environment? I was just at a meeting and talked about fractals in a livability context. It met with lots of interest and some skepticism too. Most of the latter was around a misconception that the fractals had to be small to be useful. My response was that the fractal was however big it is that contains all the elements, but smaller was bett from a design perspective. I found it useful to be specific about livability measures and nature measures when discussing fractals, rather that “everything”‘ which led to unproductive conversations about how to mix industry into neighborhoods.